Kushner, Harold. Who Needs God? New York. Summit. 1989. 208 pps. Octavo. Hardcover. Reprint. Fine copy in fine dust jacket (in mylar). Kuzentsov, Edward. Prison Diaries. New York. Stein and Day. 1975. 254 pps. Octavo. Hardcover. First edition. Illustrated. Fine copy in near fine dust jacket (in mylar). Kwasky, Albert. The Old Lady in Dubuque. A Recollection. New York. Vantage Press. 1979. 229 pps. Octavo. Hardcover. First edition. Illustrated. Fine copy in fine dust jacket (in mylar). Kwitny, Jonathan. Man of the Century. The Life and Times of Pope John Paul II. Photo available. New York. Henry Holt. 1997. Octavo. Hard cover. First edition. Fine copy in fine dust jacket (in mylar). Kwok, Man-Ho et al. (translators). 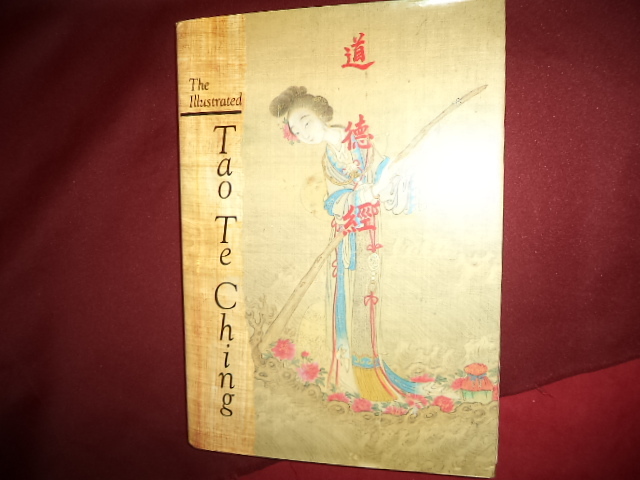 The Illustrated Tao Te Ching. Photo available. New York. Barnes & Noble. 1993. 4to. Hardcover. First edition. Illustrated in black, white and color. Important reference work. Fine copy in fine dust jacket (in mylar). Kwok, Man-Ho et al. (translators). 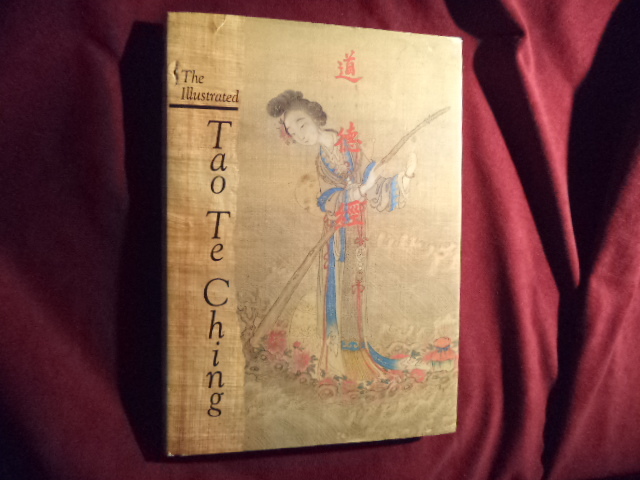 The Illustrated Tao Te Ching. Photo available. New York. Barnes & Noble. 1993. 4to. Hardcover. First edition, later printing. Illustrated in black, white and color. Important reference work. Fine copy in fine dust jacket (in mylar). Kwok, Man-Ho. Chinese Astrology. Forecast Your Future from Your Chinese Horoscope. Boston. Charles E. Tuttle. 1997. 127 pps. 4to. Soft cover. First edition. Illustrated in color and black & white. Fine copy. Kytle, Calvin. Gandhi, Soldier of Nonviolence. An Introduction. Cabin John. Seven Locks Press. 1982. Octavo. Hardcover. Illustrated. Fine copy in fine dust jacket (in mylar). la Cour, Tage. 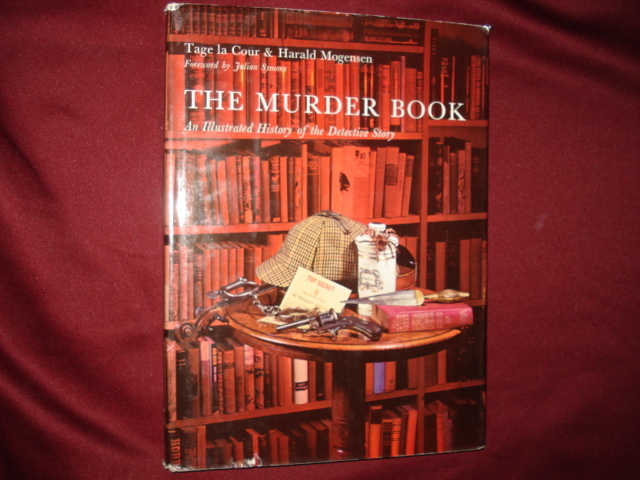 The Murder Book. An Illustrated History of the Detective Story. Photo available. New York. Herder and Herder. 1971. Octavo. Hard cover. First edition. Illustrated in black, white and color. Fine copy in near fine (very light shelf wear) dust jacket (in mylar). la Fosse, Robert. Nothing to Hide. A Dancer's Life. New York. Donald I. Fine. 1987. 275 pps. Octavo. Hardcover. First edition. Illustrated. Fine copy in near fine dust jacket (in mylar). la Graza, Rodlofo (ed). The Mexican American Experience. An Interdisciplinary Antholgy. Austin. University of Texas Press. 1985. Octavo. Soft cover. First edition. Illustrated. Fine copy. Labadie, Emile L. Ornamental Shrubs for Use in the Western Landscape. 125 Broadleaf Shrubs. Sierra City. Sierra City Press. 1980. 308 pps. Octavo. Soft cover. First edition. Illustrated. Fine copy. Labadie, Emile. Ground Covers in the Landscape. Sierra City. Sierra Press. 1982. Octavo. Soft cover. First edition. Illustrated. Fine copy. LaBarbera, mark. NAHC Wild Game Cookbook. 1985. Minneapolis. North American Hunting Club. 1985. Octavo. Spiral bound. First edition. Illustrated. Near fine copy (very light stain along top edge). LaBarbera, mark. NAHC Wild Game Cookbook. 1996. Photo available. Minneapolis. North American Hunting Club. 1985. Octavo. Gilt decorated hard cover. First edition. Illustrated. Fine copy. Labarge, Margaret Wade. 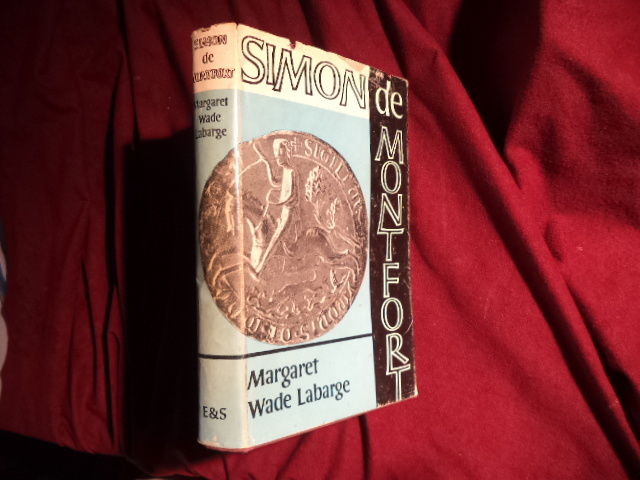 Simon de Montfort. Photo available. London. Eyre & Spottiswoode. 1962. 312 pps. Octavo. Hardcover. First edition. Important reference work. Fine copy in very good (light shelf wear) dust jacket (in mylar). LaBastille, Anne. Beyond Black Bear Lake. New York. W.W. Norton. 1987. Octavo. Hard cover. Illustrated. Fine copy in fine dust jacket (in mylar). Lacey, Peter. The Wedding. New York. Grosset & Dunlap. 1969. 290 pps. Octavo. Hardcover. First edition. Illustrated in color and black & white. Fine copy in fine dust jacket (in mylar). Lacey, Robert. Majesty. Elizabeth II and The House of Windsor. New York. Harcourt, Brace & Jovanovich. 1977. Octavo. Hard cover. Illustrated. Fine copy in fine dust jacket (in mylar). Lackmann, Ron. Remember Radio. New York. G.P. Putnam's Sons. 1970. Octavo. Hard cover. First edition. Illustrated. Fine copy in near fine (light shelf wear) dust jacket (in mylar). Lacroix, Nitya. Massage for Lovers. Simple, Sensuous Techniques for Enhancing Sexual Pleasure. New York. HarperCollins. 1994. Octavo. Hardcover. First edition. Illustrated in color and black & white. Fine copy in fine dust jacket (in mylar). Lacy, Norris J. (ed). 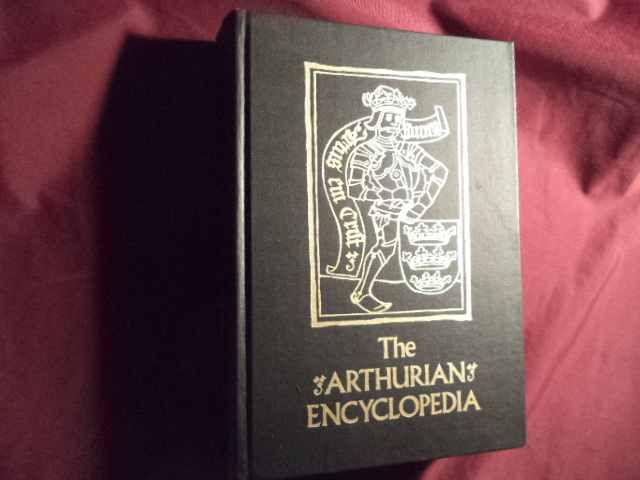 The Arthurian Encyclopedia. Photo available. New York. Garland Publishing. 1986. 649 pps. 4to. Gilt decorated hard cover. First edition. Illustrated. Important reference work. Fine copy. Ladd, Mark. Dobermanns. An Owner's Companion. New York. Howell. 1991. 336 pps. Octavo. Hardcover. First edition. Illustrated. Fine copy in near fine dust jacket (in mylar). Ladin, Carmen Bin. Inside the Kingdom. My Life in Saudi Arabia. Photo available. New York. Warner. 2004. Octavo. Hard cover. First edition. Illustrated. Fine copy in fine dust jacket (in mylar). Ladin, Carmen Bin. Inside the Kingdom. My Life in Saudi Arabia. New York. Warner. 2005. Octavo. Soft cover. Revised edition. Illustrated. Fine copy.